A lack of wheelchair accessibility makes it hard for disabled people to maintain independence. That’s why a group of ten art and tech students from the Swiss Federal Institute of Technology and Zurich University of the Arts has created a wheelchair that uses wheels for cruising and rubber tracks to climb and descend staircases. 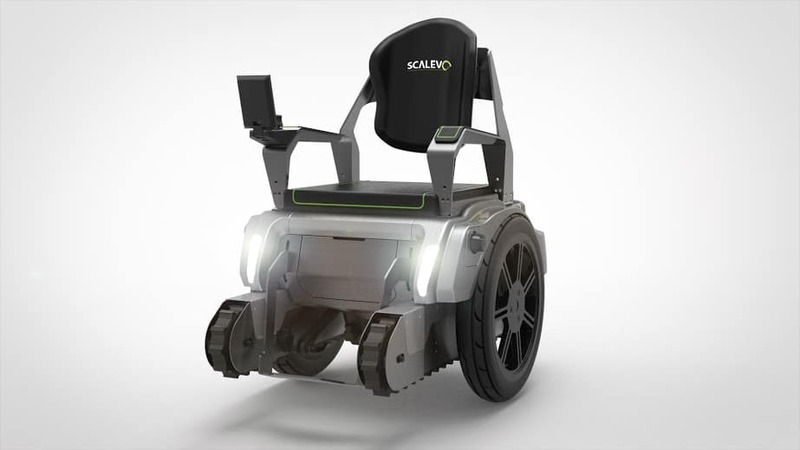 Described as a “Segway crossed with a tank” and as having “unparalleled stair-climbing capabilities“, the all-electric SCEWO BRO (before: Scalevo) has retractable twin tracks that descend from its undercarriage and pistons that tilt the chair back – and it can move at a speed of one step per second. Tests have shown that it can be driven on almost every staircase, however steep. 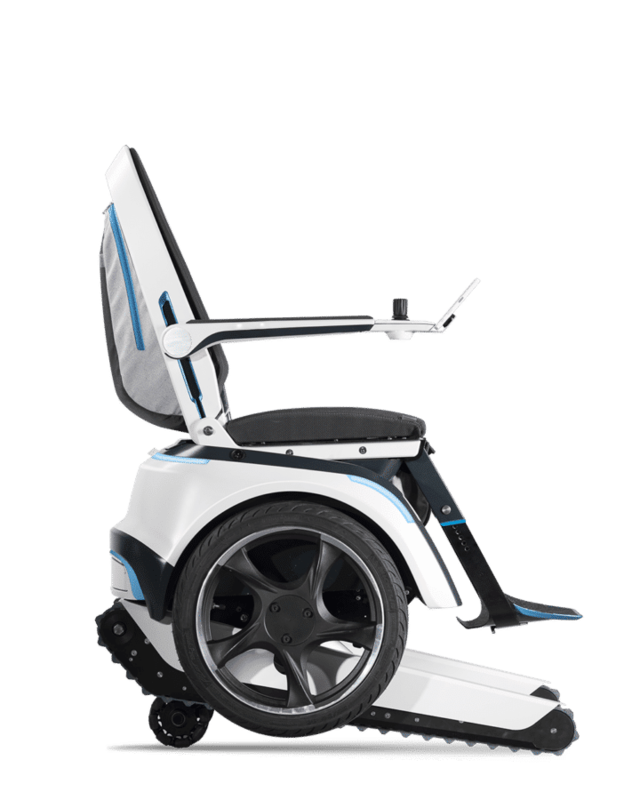 The creators hope that it will eliminate the need for access ramps and stairlifts. Tags: Automation, Disability, Empowerment, Health, Medicine, Mobility, Multiple Sclerosis, Orthotics, Rehabilitation, Social inequality, Students. Hi there, I will like to know the price of the product! Hello, I am from India I want buy your latest chair. How can I get this. HOW CAN I BUY ONE OF THIS? Looking at this genius new wheelchair am wondering about the cost. Has anybody knowledge about this to give me a clue ? can I know how much price for this weel chair ? wat is de prijs, waar te koop en kan die ook op het strand rijden.